A really good and hard to categorise album by Dizzee Rascal here. If there is anything wrong with it, it is the fact that it is a really dark album. At times the whole thing is almost oppressive. But the music's mix of UK Garage, Hip-hop, Electronica, rock and jungle make it all too interesting to dislike. The music is appropriately aggressive and dark, almost assaulting you with its beats, the lyrics are pretty interesting as well, even with the traditional hip-hop posturing in them they end up often being pretty sensitive pieces. The whole thing sounds primal and fascinating and innovative and smart. It received the very deserved Mercury Award for this year and it is a truly fascinating album, highly recommended. 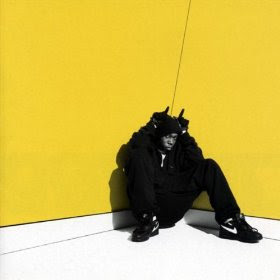 Boy in da Corner won Dizzee Rascal the 2003 Mercury Prize, becoming the first rapper to win the award. On Metacritic, the album received an aggregate score of 92/100, indicating "universal acclaim". In 2009, it was voted the sixth greatest album of all time by MTV Base. The record peaked at number twenty-three on the UK Albums Chart. It has sold over 58,000 units in the U.S.and over 250,000 copies worldwide. Shouldnt it be the 2002 album ? Somehow my 9 ended up upside down. Fixed.